10" x 6.5" x 3.5"
The Roberts RP28 covers the full FM waveband from 88MHz to 108MHz plus the Medium and Long Wavebands. It has switchable AFC and a rotary tone control. There are four preset stations for VHF, one for MW and one for LW, all under a perspex cover. The RP28 is very easy operated preset radio. It has a 32" telescopic aerial, a headphone socket and a strong leather covered carry handle. The wooden cabinet is covered in beautiful silver grey coloured leathercloth and has teak wooden ends. 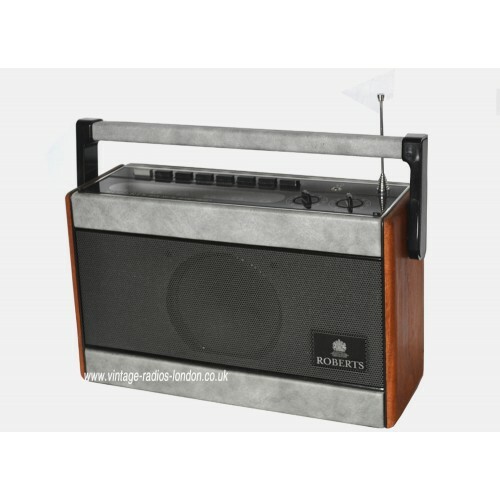 This Roberts radio has been fully checked, cleaned and serviced and is all in excellent cosmetic condition, very clean internally and externally. 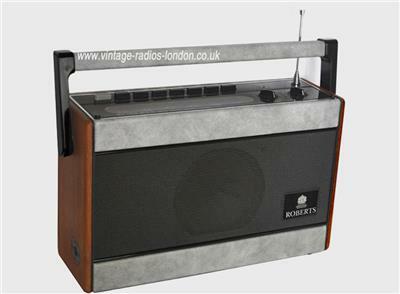 It is a complete and original in any respect - All the control knobs and push buttons are original and complete and working correctly, the leathercloth is very clean free of any marks and scratches, the aerial is straight and extends perfectly. 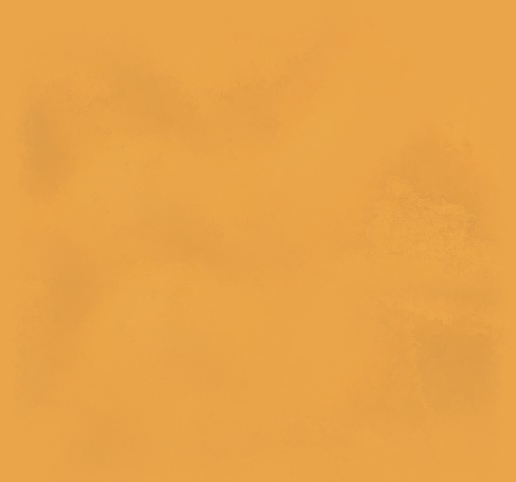 The prospect cover is clean, clear and complete and even the tunning tool under it which is usually missing is intact and present. The battery compartment is absolutely clean whit no signs of any leakage or corrosion. This is more than 20 years old radio in used condition and may have some very minor age related marks. 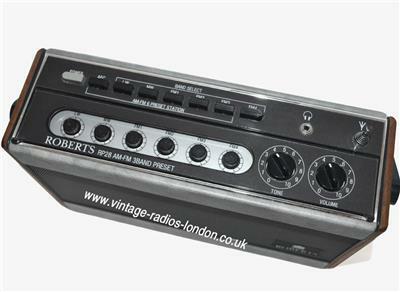 This Roberts Preset radio is in great working order on all 3 wavebands with lovely sound quality. 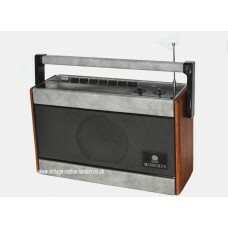 A perfect radio for anyone who need a good quality sounding radio for everyday use.